What’s the biggest problem facing the construction industry? It’s not a drooping stock market, potential recession or an ongoing trade war, at least according to the industry itself. Instead, it’s a potentially catastrophic labor shortage. That, according to just-released survey of construction executives from the Associated General Contractors of America (AGCA) and Sage Construction and Real Estate. The survey found that although 79 percent of construction firms plan to expand their headcount in 2019, 78 percent of them can’t fill important positions. The labor shortage was the top concern cited by construction executives. The labor shortage was the top concern cited by construction executives. The survey found that although 79% of construction firms plan to expand their headcount in 2019, 78% of them can’t fill important positions. To hire qualified workers, construction firms are increasing their pay — almost six in 10 respondents to the survey increased base-pay rates, and 29 percent offered incentives and/or bonuses. But, raising pay isn’t the only option. The industry is rife with inefficiency. Raising productivity will help the industry do more with less manpower. How inefficient is it? Consider just these few statistics. A survey from PlanGrid and FMI found that more than 35 percent of the time of construction professionals (more than 14 hours per week) is spent on non-productive activities including looking for project information, and dealing with mistakes and rework. Another survey, by the Mechanical Contractors Association of America (MCAA) found that problems with construction logistics have a 50 percent or more impact on productivity. And, a U.S. Chamber of Commerce Commercial Construction Index survey found that a bare 11 percent of contractors say worksites are very efficient. Construction industry players realize there is a productivity problem and a labor shortage, and that investing in the right mobile app development technology to solve it. The AGCA survey found that 42 percent of respondents will increase their investments in IT in 2019. The survey didn’t delve into where those IT investments will be made. But mobile technology should be top of the list because it can dramatically increase productivity. 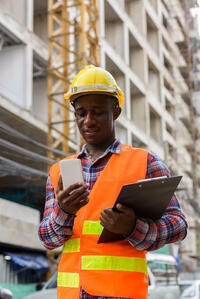 Alpha TransForm can help construction companies increase productivity and attract workers in multiple ways. By tying construction sites directly to back office operations, it can improve logistics, make sure that construction documents are always within reach, and cut down on mistakes and rework. 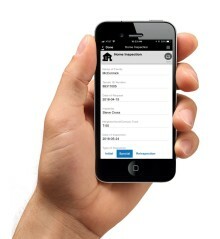 It can streamline inspections and dramatically improve data capture. And, it can leverage mobile technology to attract new talent because, typically, the savviest and most profitable construction companies are the ones that innovate and use the latest technology. Younger workers are also attracted to companies making the best use of technology. For a practical example of how Alpha TransForm can help, read how Building Engineering Company increased inspection throughput, improved data accuracy and made field data available to the company’s systems immediately. 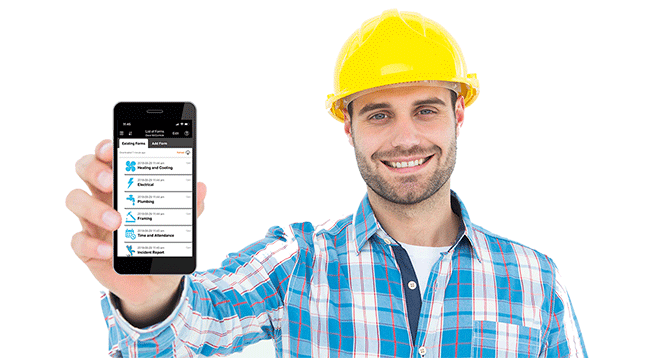 You can try Alpha TransForm yourself, with free access to a pre-built building inspection app you can customize for own company.